Over the past few days, the Mister and I have been trying our best to take advantage of what’s left in the last half of summer in the City. 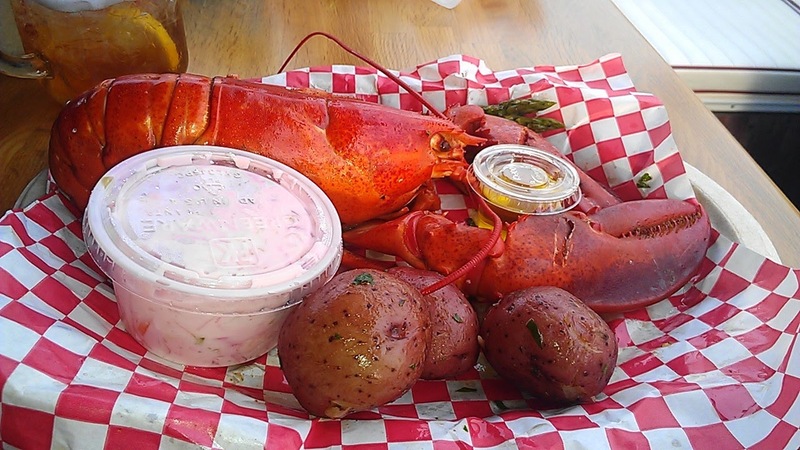 The other night, we decided to check out the recently opened North River Lobster Company, New York’s first sailing lobster shack docked at Pier 81 by the Hudson River. While aboard, passengers can enjoy fresh Maine lobsters and an array of other staple seafood items in casual yet cool atmosphere. 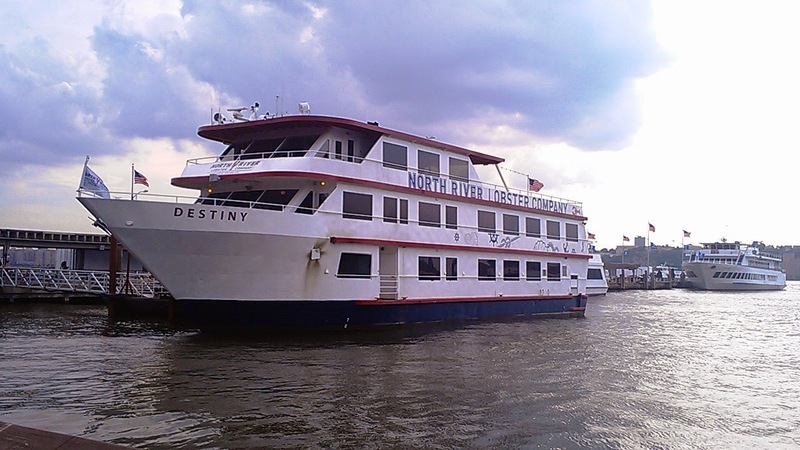 I was pleasantly surprised to see the prices for the libations were pretty reasonable, especially considering the added free cruise around the Hudson. 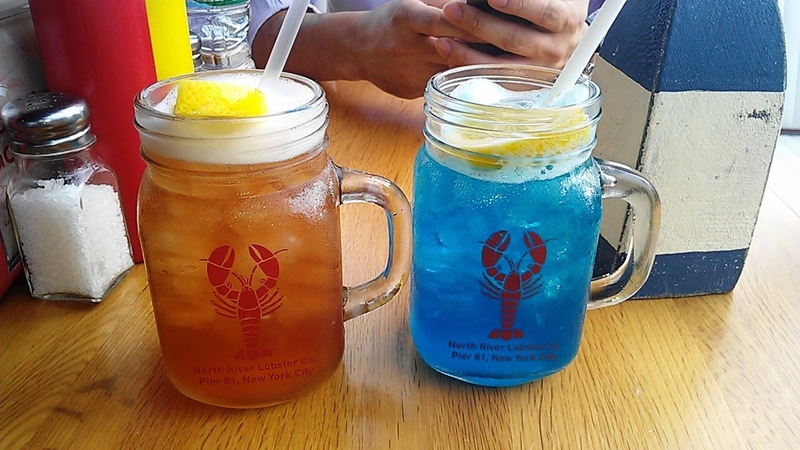 The Mister and I started off with some $12 boozy cocktails – I got the citrusy High Tide and he got the appropriately blue Nautical Margarita (tip 1: if you add $2, you get your drink in a commemorative North River Lobster Company Mason Jar to take home). The boat sets sail every hour for a thirty minute jaunt on the water (tip 3: make sure to check their website for the sail schedule so you won’t be left ashore!) There is no need for reservations, but do arrive early as the line does get long to board during peak dining times and if you want a table on the prime upper deck. Overall, this was a really fun, relaxing and delicious way to spend an evening – I’ll definitely be back for more seafood, sailing and spritzers!